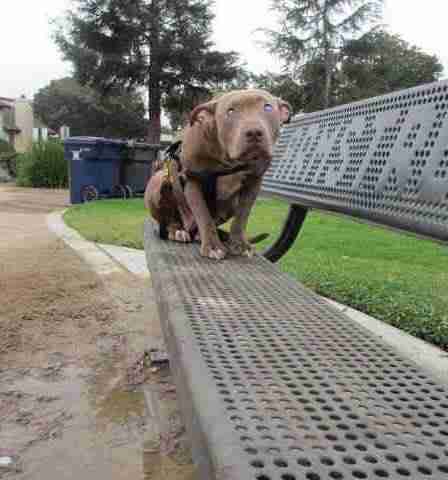 Poly must have been absolutely terrified when she was abandoned - the blind pit bull was found cowering on a bench in a park in Santa Barbara, California, earlier this month. Alone in a strange place, she was too scared to move. It wasn't clear how long she'd been sitting alone. Three-year-old Poly was taken in by Santa Barbara County Animal Services, but it soon became clear that she would need more help than they could provide. 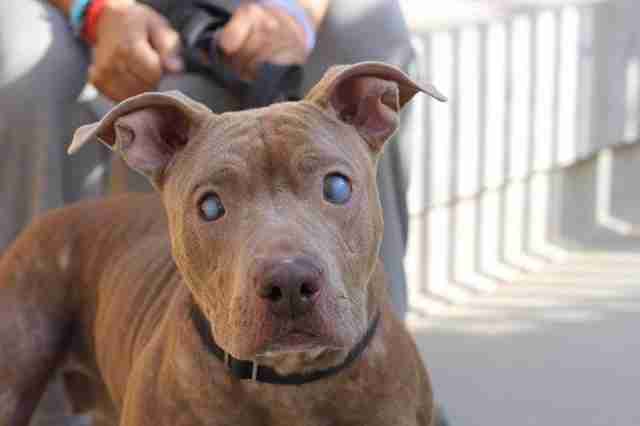 In addition to being completely blind, Poly also has a heart condition and a skin infection. It was also clear that she had just given birth - though there were no puppies to be found. 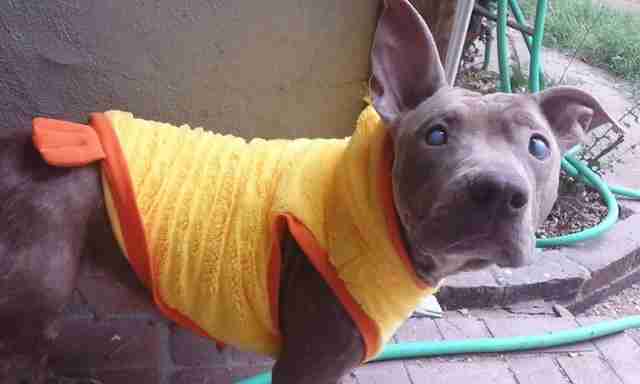 Foreverhome Pet Rescue, an all-volunteer rescue in the Los Angeles area, stepped into to take Poly and set her up in a caring foster home. "She is a very sweet girl and deserves far better than she has gotten in life so far," the rescue said in a press release. In her foster home, Poly is finally getting the medical care she needs, not to mention the love and attention she's been missing out on. Her foster family has been posting updates about Poly on a special Facebook page, documenting her trips to the doctor, her adventures in the backyard and her first days in a real home. 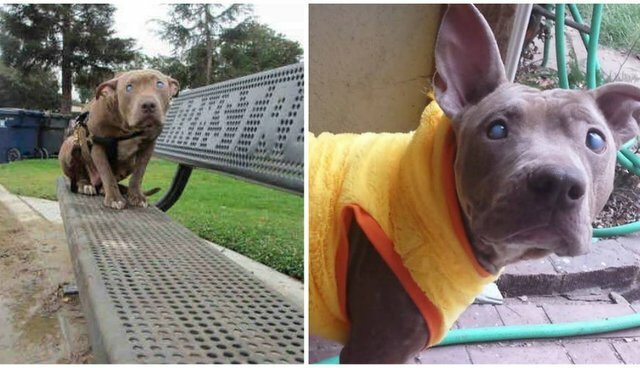 Poly may not be able to see, but she can definitely tell that her life has changed forever. When she's healthy enough, her rescuers will begin making plans for Poly to be adopted into a family of her own. She'll never have to be alone and scared again.